All India Football Federation has requested State Associations to send their nominations for 2nd Division League's 2016/17 Season. The last date of submission is 7th July. Clubs interested to ply their trade in 2nd Division League will have to submit the necessary documents to their respective State Associations, who will then nominate the clubs for 2nd Division League. The format pf the League is not announced yet but is expected to follow the previous year's which had 10 teams divided into 2 Conferences: East and West followed by National Round which included top 3 teams from each conference. Dempo Sports Club was crowned Champions and won promotion to 2016/17 I-League, after they finished top of the League Table with 23 points in 10 games which included 7 wins and 2 draws. 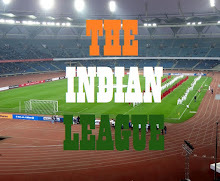 This year's 2nd Division League will be interesting as if AIFF/FSDL's proposal of restructuring the League System is implemented, the Champions of 2nd Division will get promoted to the new 2nd Division, League One.